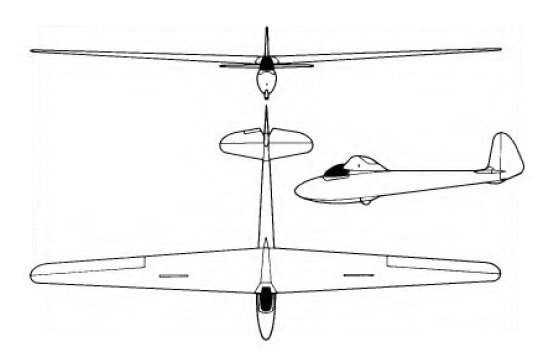 Just after the war, when sporting gliding was getting started again, it was evident that there would be a need for new sailplanes to supplement the surviving prewar ones, and to fill the gap until such time as postwar designs could go into production it was a logical step to build some of the best German prewar designs, some captured examples of which had been brought to Britain, in British factories. A combination of a desire to make use pre-war glider experience and refusal by the Board of Trade to allow Elliotts to return to its prewar furniture-making activities led to a decision to enter glider manufacturing, starting with the production of an improved version of the well known DPS Meise known as the Olympia. 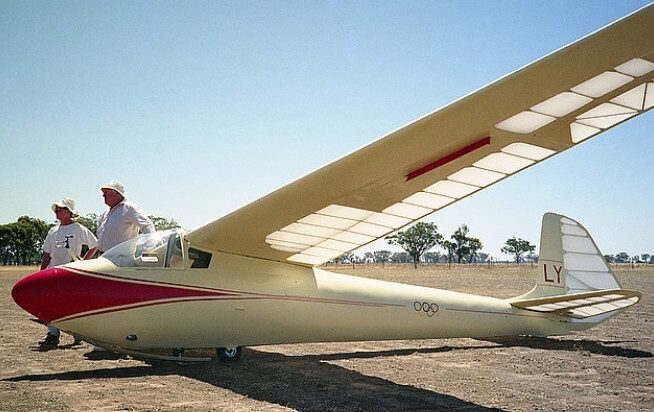 The Olympia's heritage goes back to when Hans Jacob's glider won the contest to design a standard glider for the 1940 Helsinki Olympic Games (hence the Olympia name). 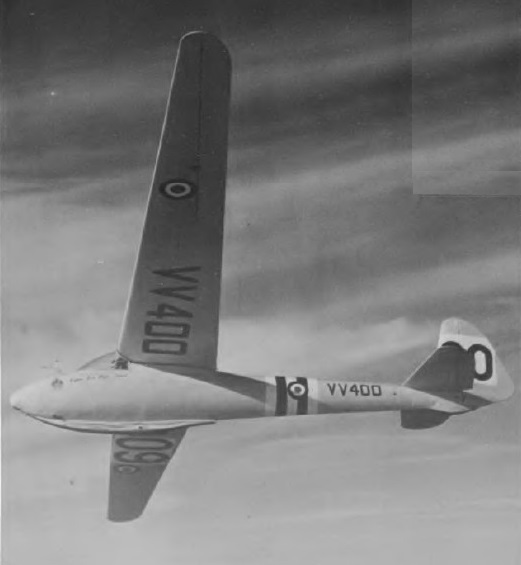 Elliotts of Newbury took up the production of an internally modified version of this glider after the war, with the first example flying in mid January 1947. This was originally to have been built in Britain by Chilton Aircraft Co Ltd, makers of the prewar DW1 ultralight, but after building a prototype, first flying in January 1947, Chilton disposed of the manufacturing and sales rights and associated drawings to Elliotts in 1952. An initial production batch of 100 was started; the type soon proved to be popular with private owners and clubs, also beng exported to a number of countries. The Olympia was built in three versions differing only in the landing gear; the Mk 1 had a central steel-sheathed ash skid under the forward fuselage very similar to the Meise's, while the Olympia 2 had a built-in fixed central monowheel and the Mk 3 had a jettisonable dolly wheel landing gear. A one-piece quickly detachable bubble canopy for the pilot with a sliding ventilation and clear-vision panel on the port side replaced the Meise's framed canopy, and there was an aerobatic harness and provision for a back-type parachute. Otherwise the Olympia is very similar to the Meise; the high cantilever wings are of wooden construction with plywood and fabric covering, with D-spars in the leading edge and DPS air brakes, while the wooden ailerons are fabric-covered. The all-wooden monocoque fuselage has a luggage compartment under the wing root with an access door on the port side. The tail unit is of wooden construction with plywood and fabric covering, and there is a trim tab in the starboard elevator. Price of the Olympia 2 in 1960 was £850. Six Olympia gliders were built by Fokker under licence.